Donal O’Grady said after the recent All-Ireland final that the best team always wins, that the scoreboard never lies. Well that’s grand, Donal, we can dispense with pundits altogether. Why bother with all that post-match waffle when any comment withers in the face of the irrefutable logic of the final score? You can surely observe the sarcasm dripping from that last paragraph, so it’s important to add the caveat that the scoreboard does have its uses in determining who deserved to win. In a close game where there is never more than a couple of scores between teams, there are few controversial incidents and moments of genius / horrific clangers are evenly shared, it can clear the mind of the detritus generated by the ebb and flow of the match and your own hopes and fears. 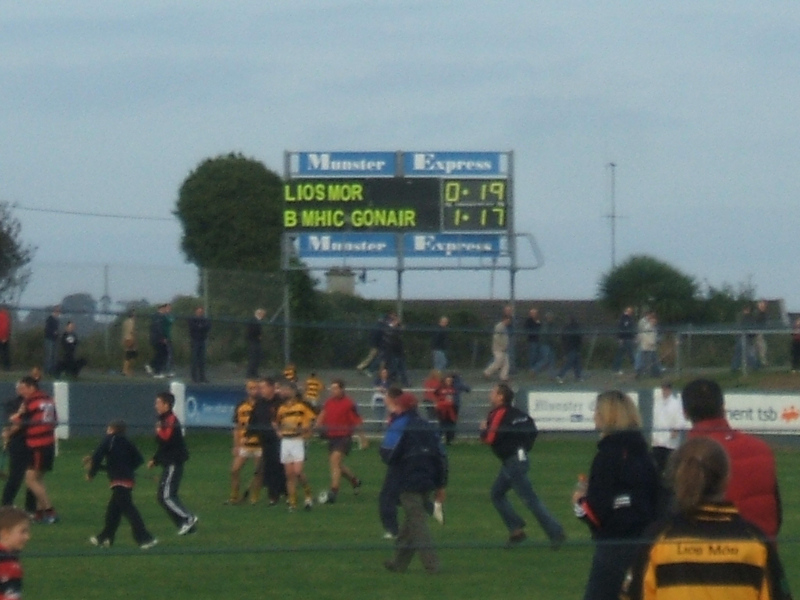 It would have been lovely had such a tight game ended in a draw, but there is a ruthless logic to the final score – Ballygunner just about shaded it. 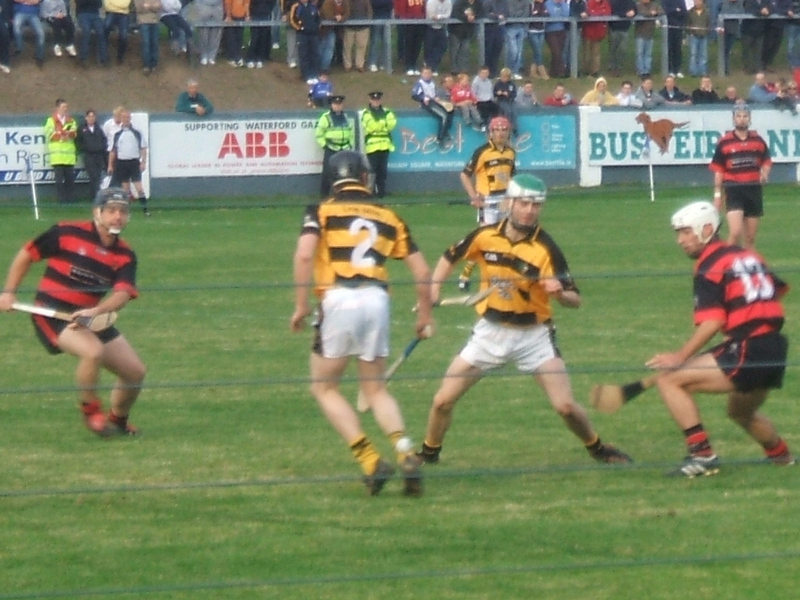 While Lismore opened the scoring and should had a goal after ten minutes when Padraig Prendergast batted the ball wide when Maurice Shanahan’s mazy run had left the goal at Lismore’s mercy, Ballygunner made all the early running and could have been out of sight midway through the half. Three frees from Paul Flynn, one after a rather wild swing from Eoin Bennett that might have ended up in worse than the yellow card it got, and a point apiece from Andy Maloney and Shane O’Sullivan left Ballygunner well on top when their goal arrived. 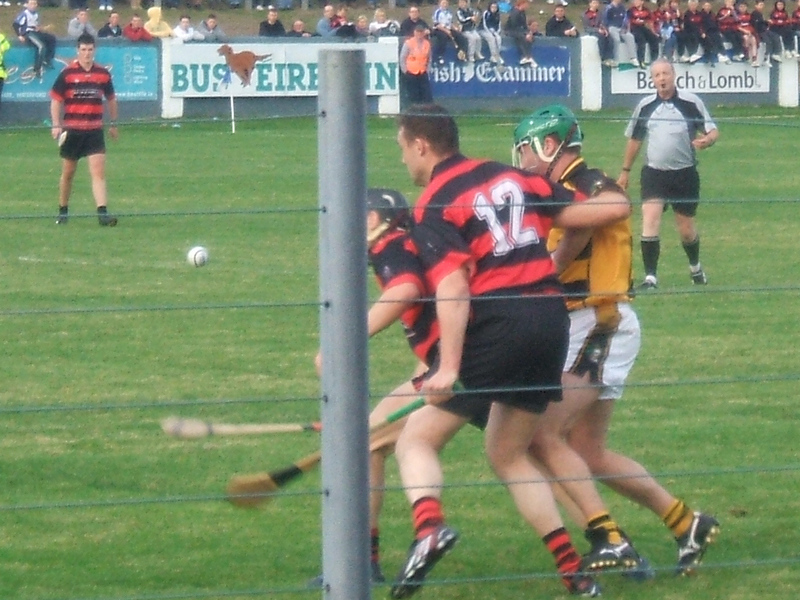 Pauric Mahony was put into the clear and it looked like an ideal situation for him to bat the ball across goal. This may have been in Brendan Landers’ mind which would explain how easily he was beaten at his near post by Mahony. Goals supposedly win games, and the shock explained why Maurice Shanahan felt the need to go for goal with a free which was saved and cleared. It was almost curtains moments later when Paul Flynn capitalised on a stumble from Joxer O’Connor to get clear though on goal. Less money was lost by Anglo Irish Bank than by those of us mentally putting the house on this ending in a goal, but Landers made up for the earlier slip by blocking the shot and mopping up the rebound. This gave Lismore a huge lift and they began chipping away at the lead. Dave Bennett provided his obligatory couple of points from play and Maurice Shanahan stayed unerring in the free-taking department, even serving up a cracking solo score from play. 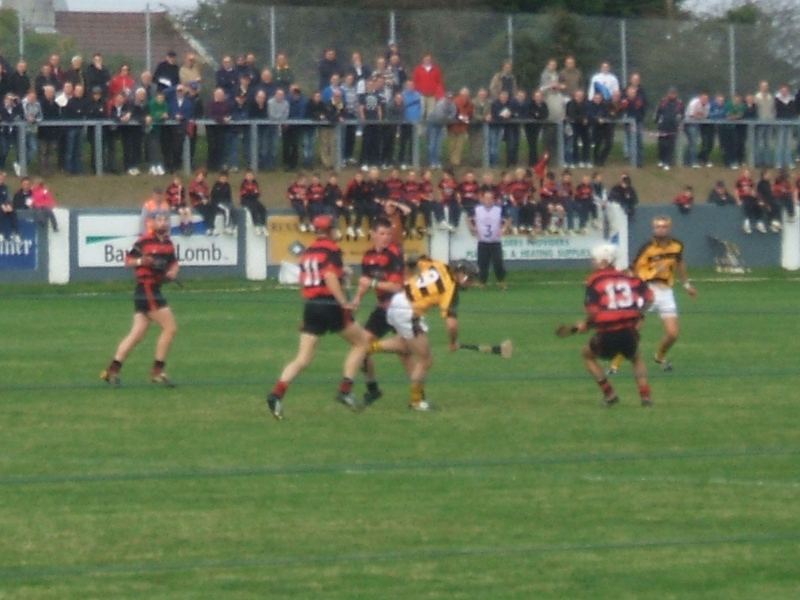 They were aided when Shane Bennett was in the right place to clear after Paul Flynn had managed to get the ball past the advancing Landers. That’s the charitable interpretation of what happened. For me, the Lismore defence played the man and not the ball and only their sheer numbers confused the ref into thinking it was good defending. 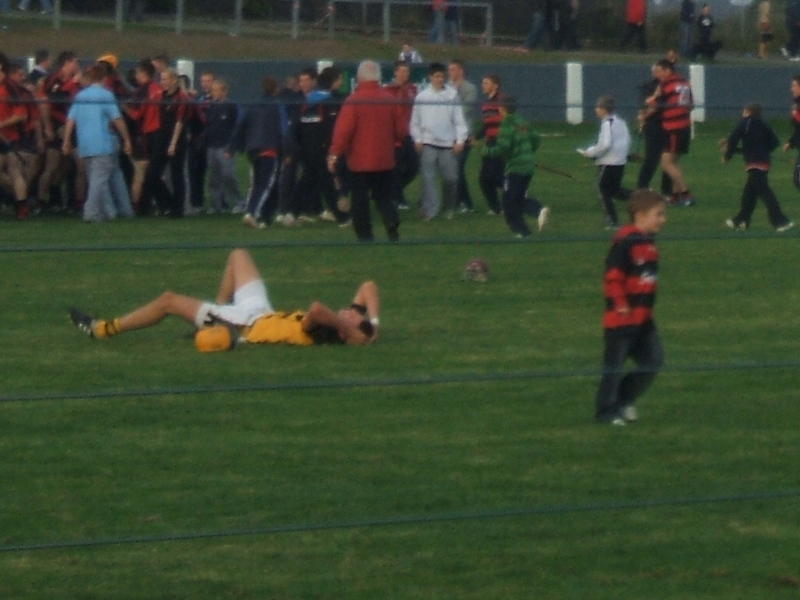 Maybe it was good defending, but whatever way you cut it it was a lucky break for Lismore and when Dan Shanahan pulled first time on a loose ball in the 27th minute, it flashed over the bar and the six point lead had been trimmed to one point. It was two frees to one for the remainder of the half and they went in level at half time. Lismore kept the pressure up at the start of the second half, Maurice Shanahan keeping the frees ticking over including one monster from his own half. Stephen O’Keeffe – the Lismore version – also got a great point, a splendid hit on the turn from way out. At the other end Brian O’Sullivan put the ball wide when it seemed impossible to miss the target, and Gearóid O’Connor tried to repeat the trick of scoring a goal at the near post but Brendan Landers was wise to it this time. Ballygunner were beginning to wobble, typified by a loose pull from Fergal Hartley – Fergal Hartley! 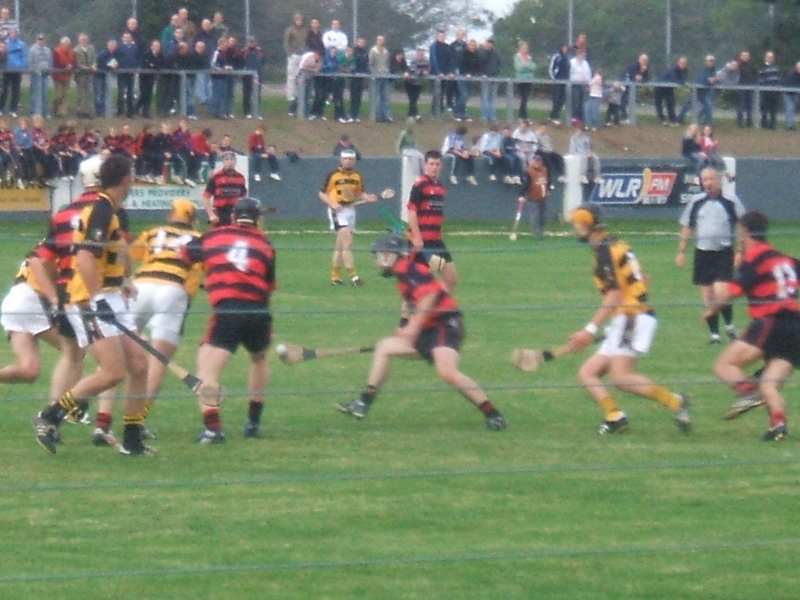 – which ended in a free where the ball landed and a soft score for Lismore. So it was just as well that Dan Shanahan was being his usual mercurial self, barreling through the defence then hitting air when he tried to kick the ball to the net, and finding himself caught in two minds having earned another goal scoring opportunity, hitting a soft wide. At this stage, it looked like the game would be won by a show-stopping cameo, a storming goal from a Shanahan or, er, a Flynn. But the hero would appear in the unlikely guise of Andy Maloney. Points from Flynn and Stephen Power – “Ballygunner forward” – steadied the ship but Shane Kearney felt sufficiently confident after a great point with five minutes to go to punch the air with delight. Any delight Lismore felt would have oozed away in a matter of minutes as Maloney fired over two quick points from difficult positions, the second after a flubbed clearance by the Lismore defence. Five points from play, each one sent over the black spot on the crossbar and with total economy of effort. It was a hammer blow to Lismore and you could see the heads drop. Ballygunner went for the jugular with Mahony and Flynn points left them two points clear going in to injury time. James Shanahan tried to tee up a goalmouth scramble but the ball went over the bar off the post and Lismore had run out of time. It was hard on Lismore. The final whistle was greeted with an errie lack of delight in the ground, confirmation that the vast majority of the crowd were rooting for them. The feeling of having missed the boat after last weekend’s missing of the boat will have been confounded having found themselves in a strong position heading in to the last quarter. But you couldn’t begrudge the Gunners. They only hit four wides in the entire game and had the outstanding performer of the day in Andy Maloney. His coolness under pressure was the difference between the teams. Let’s hope they can show that level of calm in the Munster championship. 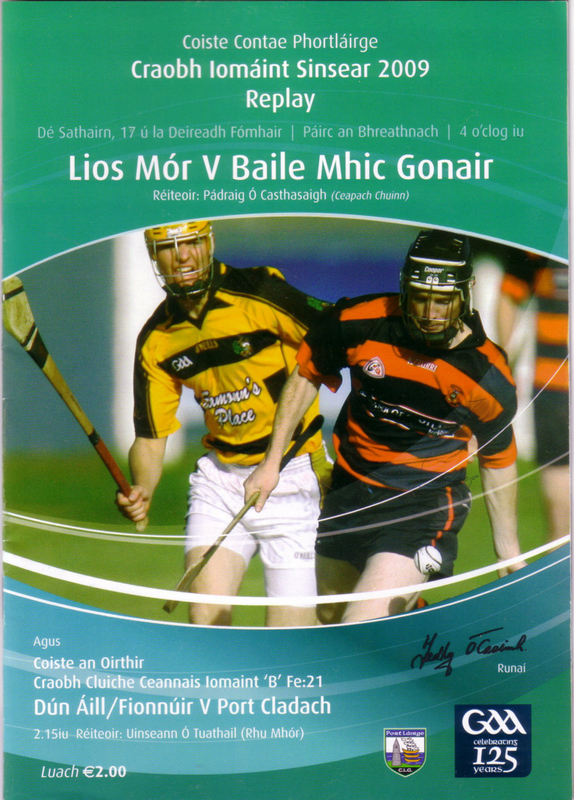 This entry was posted in Hurling, Match Reports, Waterford and tagged Ballygunner, County Championship, Lismore, Walsh Park on 17/10/2009 by deiseach.